Have him feeling like a million bucks with our Harrison II Polished Money Clip. 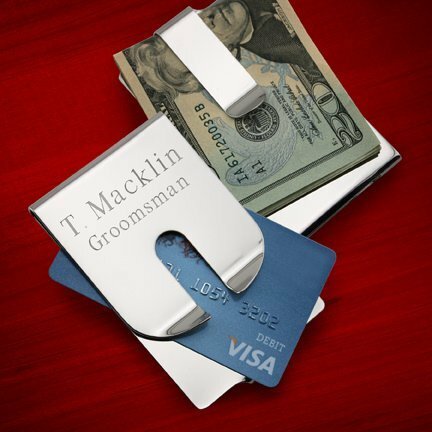 The striking money clip is a great gift for the groomsmen, Father's day or a gift for a deserving promotion. Our handsome clip is lightweight and very durable and measures 3 1/2" x 2 1/4". Add a one of a kind unique touch with our personalization- giving him a lasting gift that he will value for years to come.